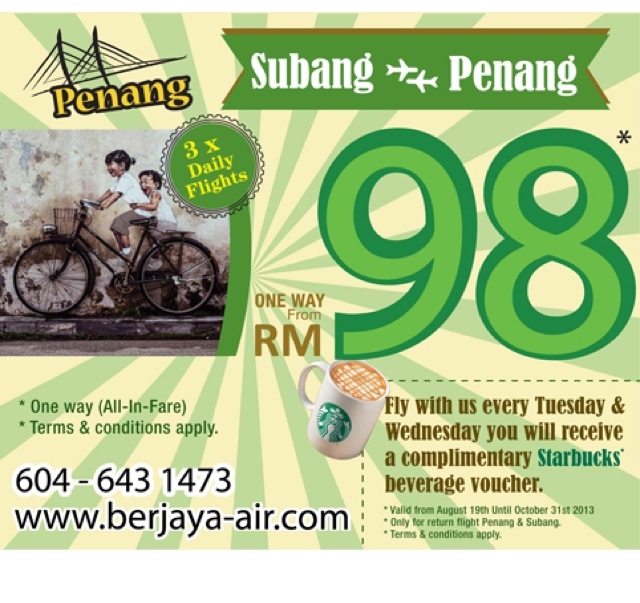 Berjaya air is having a promo fare from Skypark Subang Airport to Penang International Airport for RM98 only...terms & conditions apply..plus if you fly on Tuesday/Wednesday,you'll get a FREE complimentary Starbucks beverage voucher..awesome is it? 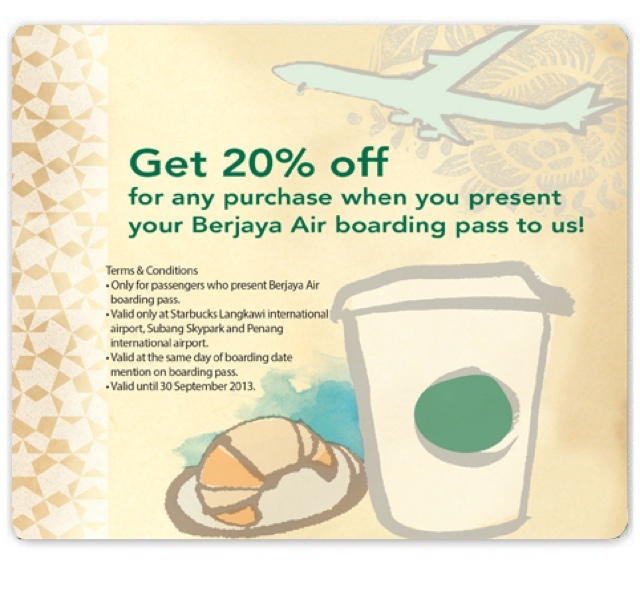 No worries if you are travelling not on Tuesday/Wednesday,you can still grab a Starbucks beverage with a 20% discount when you provide them your Berjaya Air Boarding pass..for this promo valid at Starbucks Skypark Subang Airport,Starbucks Langkawi International Airport & Starbucks Penang International Airport only...Berjaya air also flew to Tioman Island,Redang Island,Langkawi Island,Pangkor Island,From Singapore to Tioman/Redang & Hua Hin Thailand. 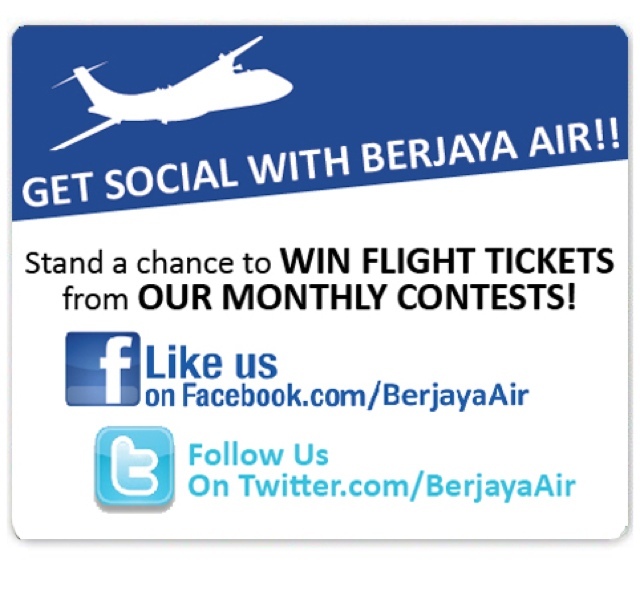 Travelogue : Air Asia Lowest Fares Guaranteed. 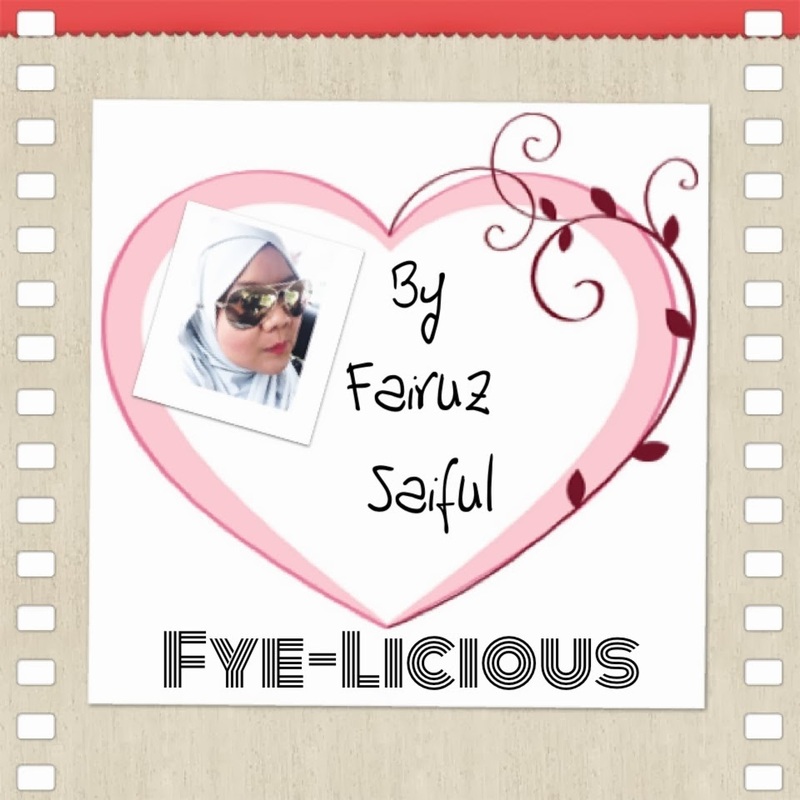 My version of Celebrating Raya!